What Does the Facebook Newsfeed Update Mean For Social Media Marketing? In terms of getting your message in front of the widest possible audience on social media, Facebook is still incredibly hard to top. As of 2017 it still averages roughly two billion active users per month, with the average user checking in an incredible eight times per day according to a study conducted by comScore. But at the same time, a recently announced Facebook change has given digital marketers everywhere cause for concern – some think it will make it harder to tap into this massive audience, not easier, moving forward. In essence, he believes that friends and family are at the core of the Facebook experience so the company will soon begin adjusting its algorithm to show more content from the real people in our lives as opposed to the brands and businesses we follow. So where, exactly, does that leave digital marketers? As is true any time a massive change like this happens, there are already those out there who insist this news feed change means that the proverbial sky is falling. That the move is so drastic it is likely to cut off traffic to many news sites that rely on the social networking giant and its users to stay alive. While this is certainly true, there is also a positive side here that a lot of people are overlooking. Facebook isn’t totally eliminating brand and business-based content from its news feed, after all – it’s just changing the way its algorithm works. Meaning that you can’t really “buy” your way into someone’s feed anymore… but at the same time, you probably don’t have to. If you create a piece of content that really gets people talking – that is genuinely valuable, that starts a quality discussion or that offers true insight into a particular topic – people are still going to post it and discuss it among themselves the same as they always have. So at that point, your mission becomes clear: just do more of that. In a way, it’s not unlike Google’s massive Panda algorithm update from a few years ago. The brands and businesses that are going to suffer are the ones who have taken a “quantity over quality” approach to digital marketing on Facebook. If a piece of content that you create still resonates with someone to the point where they post it on Facebook and begin a discussion about it, their friends and family members are still going to know about it. The ones that focus on creating a genuine connection between themselves and their audiences – the ones that publish content that helps people solve problems, answer their questions and gets them talking – are still just as likely to appear prominently in news feeds as they ever were. If your digital marketing strategy depended on disguising advertisements as content, you may be in trouble. If you have always and will continue to focus on creating content that improves people’s lives in a meaningful way, you likely have little to worry about. Yes, it’s true that there are some who believe that this move will simply reinforce the echo chambers that users are already creating for themselves. Some even believe it will lead to more expensive Facebook ads. Those are possible, yes – but only time will tell whether they truly come to pass. For now, you need to focus on creating the best quality content that you can all day, every day. In theory, the company’s new algorithm will take care of the rest. 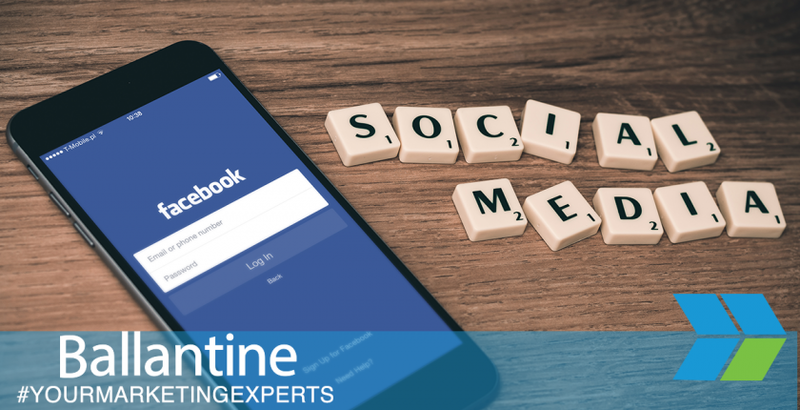 If you’d like to find out more about how to make the most of Facebook’s new change regarding the way its news feed works, or if you have any other digital marketing questions that you’d like to see answered, please don’t delay – contact the experts at Ballantine today. Facebook recently announced an updated to the way its news feed algorithm works, prioritizing content from friends and family members over third-party brands. This means that creating quality content that gets people talking is more important than ever. The more you’re able to engage Facebook users in conversation, the more you’re likely to appear prominently in their news feeds when they log in.